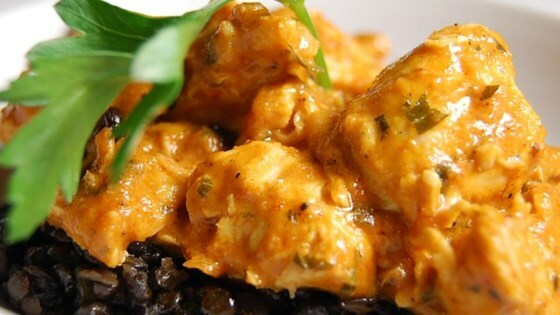 "This authentic chicken tikka masala dish follows an old family recipe." This dish stars spiced chicken in a rich tomato and curry-based cream sauce. The recipe was amazing. But a little spicy for some of my guests. Used coconut milk instead of heavy whipping cream, and only marinated the chicken for an hour instead of two.